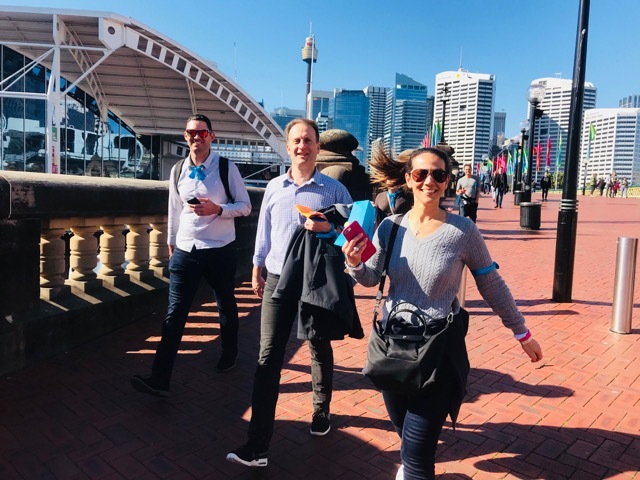 Darling Harbour in Sydney, is an amazing race activities paradise of sites, locations and checkpoints that never cease to amaze participants for Team Building, Team Bonding, Corporate Events and escaping the office work to have staff and employees be rewarded or motivated. 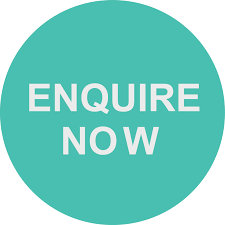 For groups of 9-900 employees, staff or delegates. 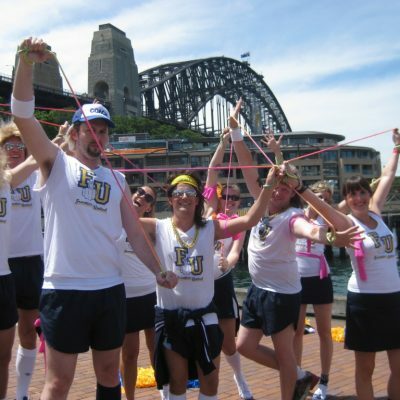 14 incredibly fun team development activities are streamlined into a 2-3hr amazing race through Darling Harbour team building Sensation package #3. Ideal for having staff working better together, developing leadership, teamwork and accomplishing shared goals within a set time for productivity and efficiency. Launched directly from the International Convention Center ICC, Ibis or Novotel Darling Harbour. If friendly race competitions are more the solution to your staff motivational issues in Sydney. Then come along dockside to experience a range of Mystery Mix Package #2 activities. Especially formulated by the amazing races team to test your skills. Mixing up puzzles, Creativity, Codes and Sports to complete on your teams journey from checkpoint to checkpoint. 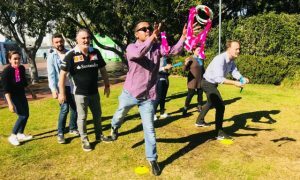 CBA Darling Quarter staff love our team building and mystery mix formats “closely aligned to the real Australian Amazing Race with real hosted registrations, sealed envelopes and challenges that really improve your ability to think on your feet”. Isn’t it time you got your team exploring Darling Harbour – Sydney, a playground for corporate groups to adventure and discover The Aquarium, Wild Life World. Imitating the art of others at Madame Taussad’s Wax Museum. 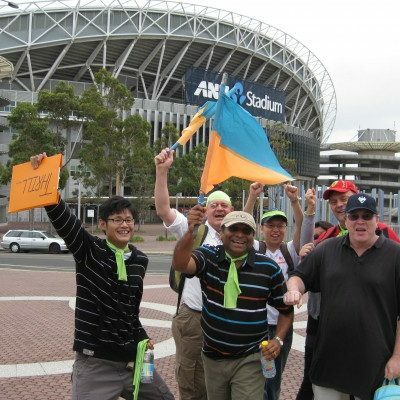 Investigate the Maritime Museum to accomplish Knot tying or a Flag Signalling Communication Challenge. Flight simulation Center to fly a Boeing 737. Smash ten pins or Karaoke at Strike or King Bowling. Enter Escape Rooms to escape from. Or Sink the HMAS Vampire. All of your programs with the Amazing Races crew can be super fun or upgrade to Wow factor events including water taxis linking Darling Quarter to Sydney through to Circular Quay and The Rocks. Discuss a free custom built amazing races package. 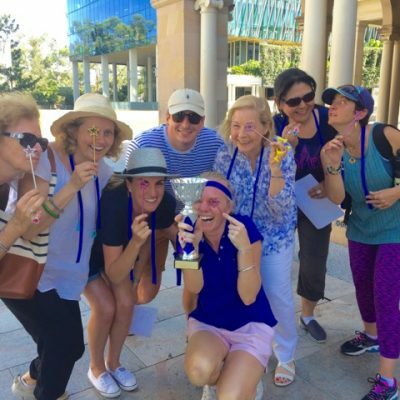 Creating your next team event with an awesome Amazing Race Darling Harbour team bonding, social or corporate group outdoor experience. That will your staff smiling and congratulating you on your excellent choice of location and activities. All within easy walking distance to Barrangaroo, Sydney CBD, Pyrmont, Glebe and local Sydney Finance or business offices. Terrific and fun challenging program of 12 team activities on The Mystery Mix Package #2. Team mascots were the best!